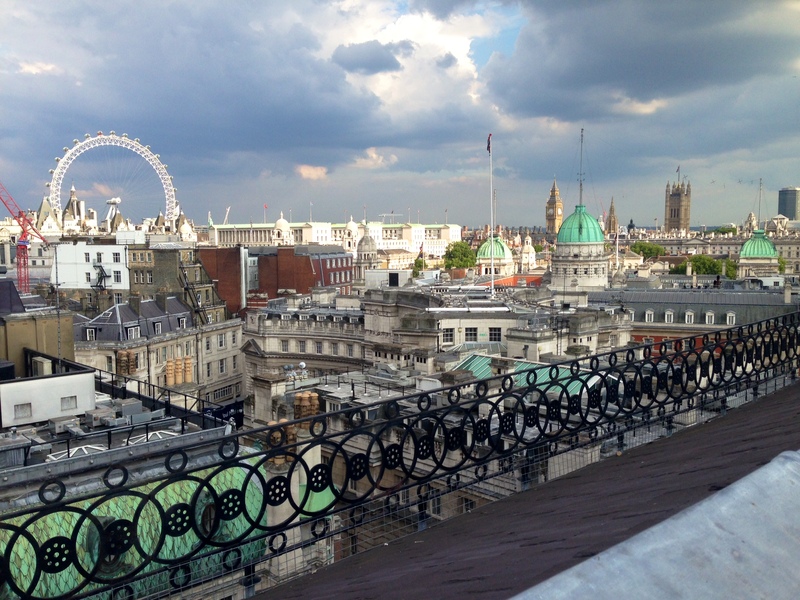 There’s nothing nicer on a sunny day in the capital than heading to one of the city’s best rooftop bars to enjoy the weather, take in the views and enjoy delicious cocktails. 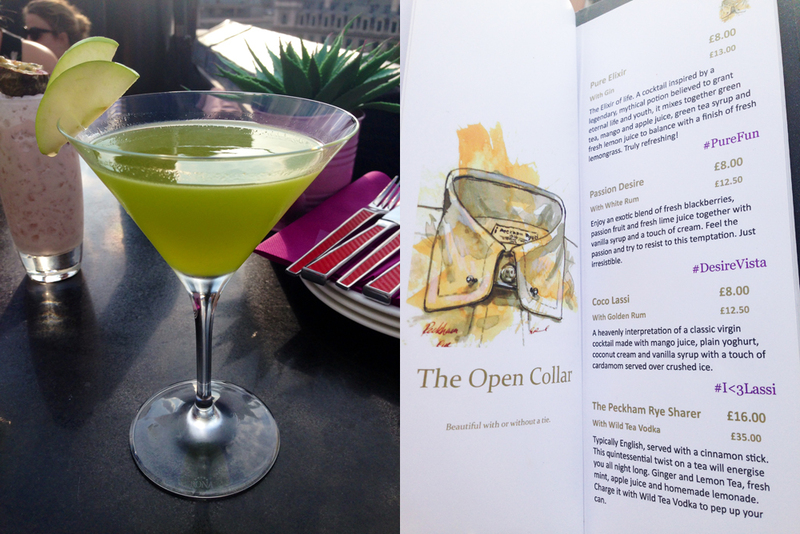 I headed to one of the best to check out their new cocktail menu for the summer season, and luckily managed to time my visit with a spell of sunshine before the heavens opened (cue a frantic dash indoors). The chic rooftop bar atop The Trafalgar Hotel in Trafalgar Square has partnered with London’s fashion forward accessory brand Peckham Rye to come up with a unique new menu that matches classic British tailoring and wardrobe items with cocktails; no doubt a reflection on its discerning and well-dressed clientele. I opted for the delightfully tangy Pure Elixir gin cocktail (£13) – inspired by the legendary potion that grants eternal youth. It certaintly looked the part! 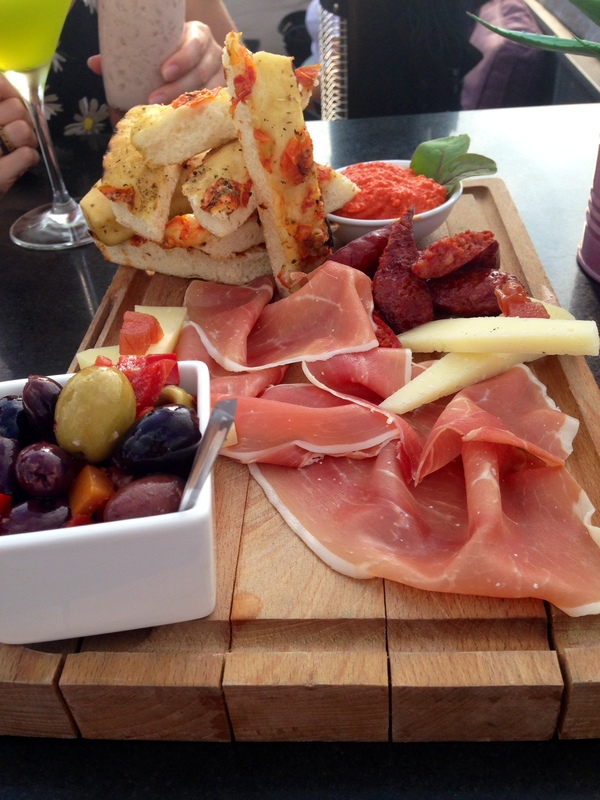 I accompanied it with their Spanish sharing platter (£17) which came with an array of delicious nibbles: Serrano ham, grilled chorizo, quince paste, Spanish mix olives, Romesco sauce, Manchego cheese and rustic bread. It was perfect for a quick light bite with friends (I could have polished it off myself). The view is what the punters really come for in summer, however, and it was as good as the cocktails. 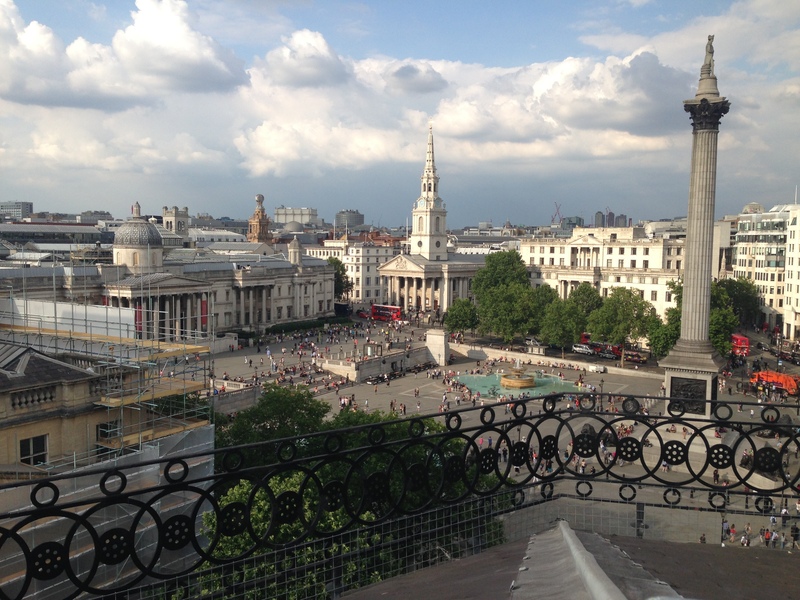 The cityscape panorama took in The London Eye, Big Ben, Nelson’s Column, St Martin-in-the Fields Church and all the bustling activity of Trafalgar Square below. At £5 entry and cocktails around £10-£15, it’s definitely not your average drink after work, but it most certainly will be memorable one. Love your website! Will definitely pay a visit to those bars if I’m ever in town. Awesome! Pls let Priya (author) know your thoughts.. She loves communicating with bloggers!